Answers to your questions about Springfield Neurofeedback and the Low Energy Neurofeedback System (LENS). Biofeedback devices are used to measure body temperature, muscle tension, blood flow, brainwaves and other activities of the body. The measurements are fed back to the body as information that the body uses to improve wellness. Neurofeedback is a type of biofeedback that uses an electroencephalograph (EEG) to measure brainwaves and provide feedback or information about brainwave activity. Neurofeedback is sometimes called EEG biofeedback or neurotherapy. Neurofeedback has traditionally provided feedback in the form of audio or visual cues that clients use to learn how to change their brainwave states. 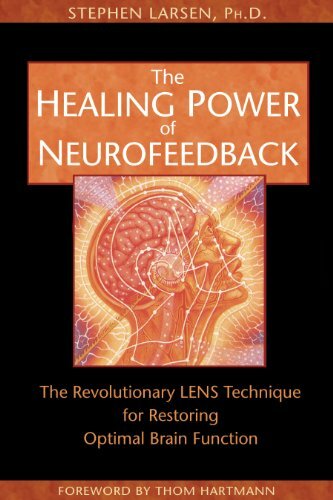 Traditional neurofeedback has been in use since the 1960's. 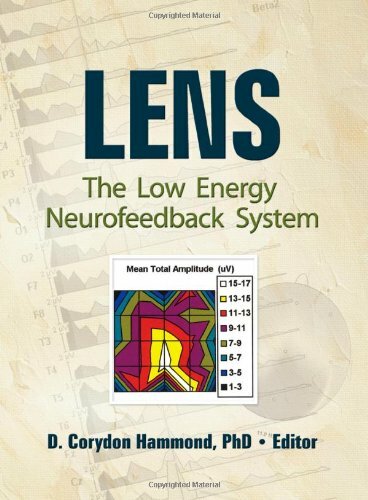 LENS is short for the Low Energy Neurofeedback System and is an advanced form of neurofeedback. Like traditional neurofeedback, LENS uses an EEG to measure brainwaves. LENS differs in that the feedback is in the form of a very low energy signal. The LENS has been in use since the 1990's. The LENS is beneficial for symptoms of central nervous system dysregulation which can be numerous. LENS does not treat specific diagnostic categories. People who have been previously diagnosed with many conditions have benefited from LENS. LENS is not psychotherapy, mental health therapy or counseling. Although Paul Wickersham is available for counseling, that is distinct from the LENS. Do I have to have a serious problem to use LENS? No. LENS is of benefit for a wide variety problems that are rooted in central nervous system dysregulation. Some clients have used LENS to enhance their performance at work and in athletics. With LENS, people perform in a more relaxed state which enhances focus and concentration. LENS clients also report better memory, organization and sequencing of tasks which increases efficiency and enhances performance. Electrical sensors are attached to the scalp and connected to an EEG device. In realtime, a personalized feedback signal is generated using a patented process. This very low energy feedback signal is mirrored back through the electrical sensors on the scalp, typically for a fraction of a second. The brain and central nervous system respond to the feedback signal with improved self-regulation and a reduction in symptoms rooted in central nervous dysregulation. Learning takes place as improved self-regulation is reinforced, usually over the course of several sessions. The LENS is easy. There is no need for a you to do anything during a LENS session other than sit quietly for a moment. We do ask you to monitor for changes between sessions and report any changes at your next LENS session. Yes. The LENS is safe, gentle, non-invasive and does not introduce any foreign substance into the body. The feedback signal generated by the LENS is much less energy than emitted by a mobile phone or even a digital watch. Ochslabs has been using the LENS and its predecessors since 1990. Tens of thousands of people have used the LENS and there have been no reports of anyone being harmed by the LENS. The LENS is an FDA certified class II 510K exempt biofeedback device. About 85% of clients report the LENS was worthwhile with significant gains that endure long after LENS is completed. This high rate of success, the number of sessions needed and the low effort required to participate make LENS an economical choice. 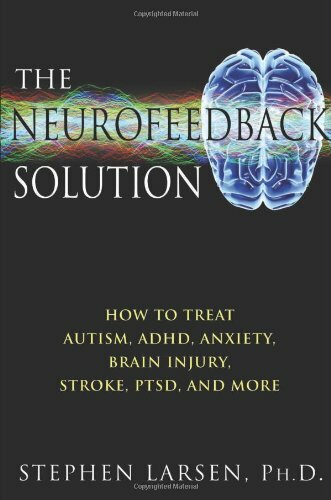 Is there research that supports neurofeedback? Yes. Research articles about neurofeedback can be searched at Google Scholar and PubMed. A list of research articles specific to the Low Energy Neurofeedback System (LENS) is available at the OchsLab website. Dr. Cory Hammond has a list of research articles about LENS at the Cambridge Neurofeedback website. Len Ochs discovered and developed the LENS. Ochslab is the company that provides equipment, software, training and support to LENS Practitioners. Ochslabs is engaged in ongoing LENS research. Ochslabs also operates a clinic offering LENS to the public. Ochslabs has an international presence with offices in California, Spain and Australia. How do I get started with LENS? You can give us a call at Springfield Neurofeedback at 417-812-5263. Another way to get started is visit the "Get Started" page on this website which describes the steps to get started with the LENS. There you can download introductory information about the LENS. After the first session, subsequent sessions are scheduled for 45 minutes. Sessions can often be completed in less time. After we begin to make progress toward your goals, sessions may be completed in as little as 20 minutes. Your first session is scheduled for 75 minutes and includes the initial interview and your first LENS session. This time frame assures we can answer your questions, review expectations, and set goals. Note that the actual time we spend using the LENS in session is usually ten minutes or less. We spend the rest of the session assessing your progress toward your goals and tuning the feedback signal to best match your physiology. The number of sessions depends on several factors. Typically we expect it to take six to twenty sessions to achieve the desired results. It has taken fewer than six sessions in some cases and more than twenty sessions in other cases. Two factors that often relate to the number of sessions is how long the symptoms have been present, and whether or not the symptoms came on suddenly. Symptoms that came on suddenly and recently tend to resolve in a fewer number of sessions. Symptoms that have been experienced for a longer time, or many years, may take more sessions to resolve. How will I know if LENS is working? We will identify your goals during the first session. Goals may include a reduction in troubling symptoms or an increase in some aspects of relaxation and self-regulation. We will assess for progress toward your goals in each session. We expect clients to experience a noticeable improvement within the first six sessions. Everyone is different. Clients often notice improvement in fewer than six sessions, and frequently after the first session. Gains tend to consolidate as sessions progress. Do the gains achieved with LENS last? Do I have to keep coming back? For problems related to central nervous system dysregulation, we expect the gains from LENS to be enduring in most cases. For most clients, we expect there to be no need to keep coming back once the gains have stabilized. If a client has an irritation to the central nervous system soon after LENS sessions are completed, the client might require a "tune-up" of one or a few sessions to re-establish the prior gains. An irritation to the central nervous system might be a bout of influenza, a bad cold, or a physical or mental trauma. Some circumstances act as ongoing irritations to the central nervous system which interfere with the LENS. These ongoing irritations make it difficult for gains from the LENS to hold. Ongoing exposure to mold, sub-clinical infections like Candida, and Lyme's Disease are such circumstances that interfere or slow progress with the LENS. We recommend working with a professional who specializes in these areas before continuing with the LENS. LENS can be beneficial in the case of Autism and degenerative diseases such as Parkinson's and MS. We don't expect LENS to cure these conditions, but instead to improve some of the symptoms. In these cases, LENS must be continued to maintain benefit. How much does LENS cost? Please contact us for the current fee schedule by calling 417-812-5263. Our clients have successfully used their health savings accounts to pay for LENS. If you want to use your health savings account, please provide the documentation requirements of your particular plan. We have not successfully billed insurance for neurofeedback at this time. Is LENS appropriate for children? Yes. LENS has been of significant benefit to children in many cases. LENS has been especially helpful for children who have a difficult time regulating their behavior. We are happy to discuss with you whether or not LENS can be of benefit for your child. Can I use LENS if I am taking prescription medications? We encourage anyone who is taking prescription medications to consult with your doctor regularly. We do not provide advice about medications at Springfield Neurofeedback. We are happy to discuss the LENS with medical professionals. Many people who use the LENS take medications. The LENS does not introduce any foreign substance into the body. Some of our clients who have achieved gains with the LENS have consulted with their physician and reduced their medications. Does the LENS treat specific diseases or disorders? No. The LENS is not a treatment for any specific condition or directed at a specific diagnosis, and LENS does not promise or imply effectiveness for any medical or psychiatric diagnostic category. The LENS is a general process that optimizes nervous system function. The LENS is a biofeedback device good for relaxation and self-regulation. As self-regulation occurs, many symptoms that have their basis in central nervous system dysregulation have improved. Will LENS change my personality or affect my positive qualities such as creativity? As the central nervous system becomes better regulated, many of our clients have reported they feel more like themselves. Clients often report that they are able to be more creative in the state of greater relaxation that results from LENS. We don't expect LENS to change personality. We do expect LENS to enhance positive qualities and performance. How do I find a LENS provider in my area? We have clients who travel to Springfield Neurofeedback for LENS. If you are too far away to travel to Springfield Neurofeedback, check the Ochslabs LENS Provider List to find a LENS practitioner near you. Brainwaves are synchronized rhythmic electrical activity that originate in the neurons of the brain. Brainwaves emanate from the brain, through the scalp and can be measured with an electroencephalograph (EEG). Brainwaves are measured by the frequency of the rhythm, or the number of cycles per second, and by the amount of energy, or the amplitude in micro-volts. It was known that the brain generates electrical activity as early as the 19th century. Hans Berger is credited with the first recorded brainwave with an EEG in 1924. Berger identified frequency ranges that appeared to have different functions and he named these frequency ranges "alpha waves" and "beta waves". Researchers now identify at least seven brainwave frequency ranges which are measured in hertz (Hz). One Hz = one cycle per second. Springfield Neurofeedback is focused primarily on offering the LENS at this time. We are located in the offices of Perfect Health Chiropractic which offers chiropractic, massage, supplements, infrared sauna, turbosonic and other treatments. Springfield Neurofeedback often collaborates with Perfect Health Chiropractic on holistic programs for our clients. Paul Wickersham is available for counseling in some cases. Yes, you can make payment on the Payment page. We are grateful that you want to provide a testimonial about your experience with the LENS. You can provide a testimonial with our online Testimoial Form, or on a paper form which is available at the office. Are there any books about LENS?